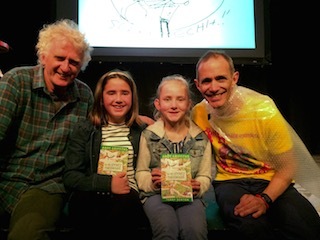 These two lucky people met Andy and Terry at the Athenaeum Theatre on the day they launched The 65-storey Treehouse book. 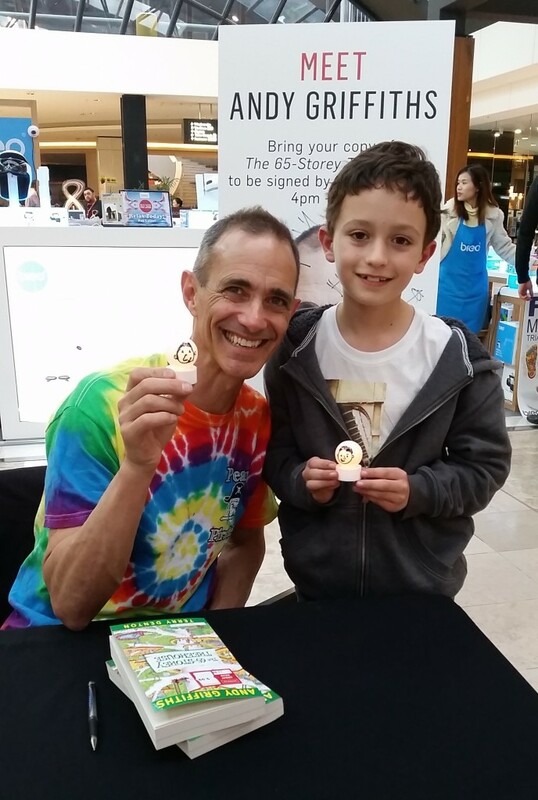 Some people stood in long lines to meet Andy when he was signing The 65-storey Treehouse book. This person even showed Andy how he had made ‘light up’ Andy and Terry characters using table tennis balls and battery-operated candles. I’m sure Andy was impressed! 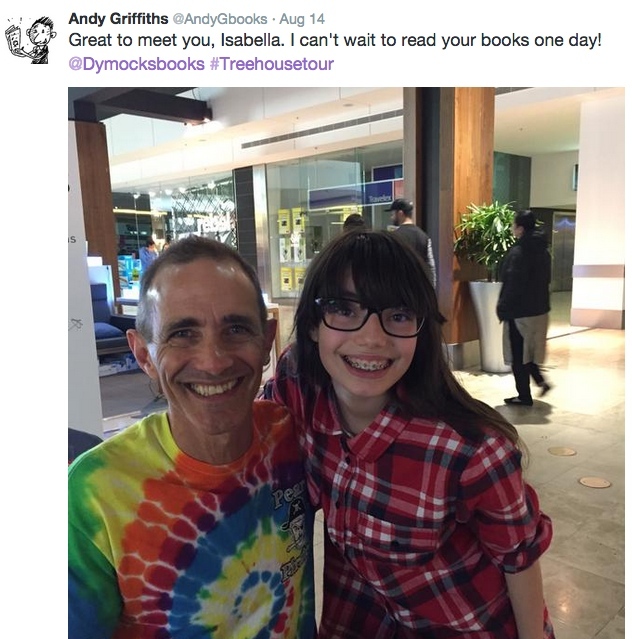 This student who is an avid reader and talented writer herself received this tweet from Andy! Now that IS exciting and what wonderful encouragement to follow her passion for writing! 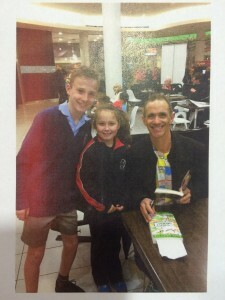 Thank you Andy for making the time to meet and inspire your many thousands of readers and for making reading FUN! This entry was posted in Uncategorized and tagged Andy Griffiths, Authors by smotlrcblog. Bookmark the permalink. Thank you Miss Y for sharing the great photos. I know 2 lucky boys who went to see the Treehouse stage show in Sydney. They said it was fantastic!